Dawn Ortiz-Legg, like most candidates, is great at “fluffing” her resume. 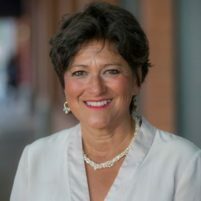 Throughout her entire campaign, she has touted her qualifications as a “small business owner” and she has highlighted her experience with the regional solar company, First Solar. It doesn’t take much snooping to find out that she has highly mischaracterized her time with First Solar. Dawn is not even technically an employee of the company. She is an independent contractor. She brags about First Solar’s job creation but as a contractor, she had little to nothing to do with the small amount of jobs created by First Solar. In addition, most of the jobs created by the company were given to people who aren’t even from our communities. The employees were shipped in from outside of the Central Coast – stripping jobs away from local residents. It baffles me when Dawn touts her record with First Solar as a qualification to be elected as a member of the State Assembly. These are not “qualifications;” these are fabrications. Sharon Truex lives in Paso Robles. So…this week DOL received $400K from the Democrat party, making the totals 97% of her money received from outside the county, with nearly all of it from the party. And she still says that she will be a voice for the county. What a joke. She is a rubber stamp for the party bosses. Moderate – HA!